From Pisa we went to Lucca City which is famous for its summer festival. This old town is surrounded by tall brick walls dated back to 6th century. Obviously, the wall has been modernized but remain intact until now. From the city gate, almost no car is in sight and more bicycles are seen. The city has so many churches with nothing but grand architectures. Picture above is taken just at the front of Church of San Michele in Foro. I also noticed that time seems to slow down here and people is off their phone, walking their dog while enjoying the weather, and involved in intimate talks everywhere over a cup of cappuccino. I couldn't help but to wish I actually lived here, ride bikes to work and then sitting at the cafes for a glass of wine with friends afterwards. What a life. This magnificent building is Duomo di San Martino (the Cathedral). 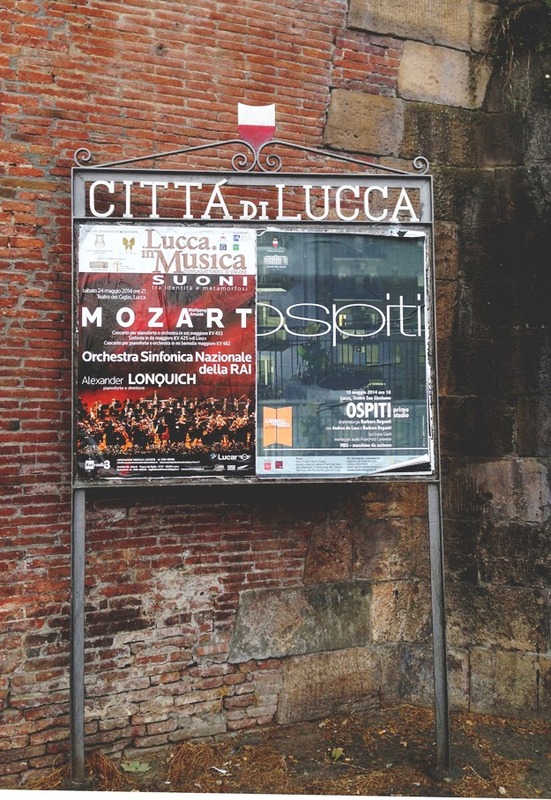 "The neatest, the regularest, the exactest, the most fly-in-amber town in the world, with its uncrowded streets, its absurd fortifications.. everything in Lucca is good." Wishing you a wonderful month of July.